On Easter Sunday, we rebroadcast a show from 2010,which covered animal welfare and vegetarianism from Jewish and Christian perspectives. The discussion covered the holidays, the Bible, the roles of religious leaders, the environment, and much more. The special guests were Dr. Richard Schwartz, and Frank R. Hoffman. 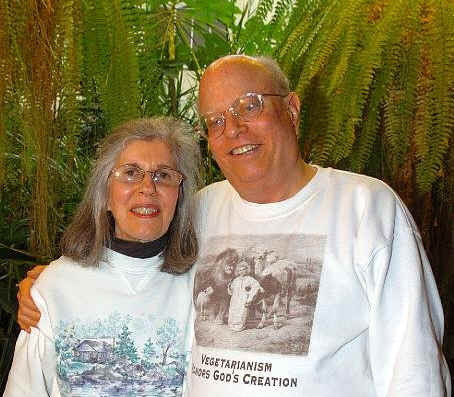 Richard Schwartz is President of Jewish Vegetarians of North America and argued that a switch to vegetarianism is a religious imperative. 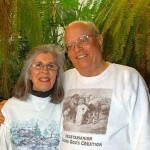 Visit Jewish Vegetarians of North America here and link to one of Richard’s articles, Judaism and Animal Rights, is here. Hoffman is half of the Mary T. and Frank R. Hoffman Family Foundation, which operates the massive all-creatures.org websites. Frank said we “…have totally lost the Peace on Earth” and “…we say the words but we don’t do it.” A link to one of the many articles at all-creatures is here, titled The Church’s Blind Spot, by Hugh MacDonald. The show link is here.